Being alive is a gift. To experience Life as it is, is a blessing. And just being is an art! But many of us miss this opportunity. We don’t see Life as a gift. This is so because there is a continuous effort to become something. The process of becoming, truly, is at the core of all human stress and strife. But there’s no point in blaming anyone. That’s the way we have been raised. We have been told that if we accept status quo we will lose the game of Life. So, there’s always a rush to move from one thing to another. From one state to another. All such movement is measured by how much more we have made or earned or saved or created. No one seems to be satisfied with the way she or he is. At times, society reminds you that you need to become something that you are not to be more acceptable. For instance, many of the clubs in India, mostly those that were founded in the days of the British Raj in India, even now will not allow you inside without proper footwear or collared shirts. So, if you landed up there wearing your sneakers, jeans and a round-collared tee, you will turned away. The club does not want you to be who you are but wants you to become what you are not – a “prim and proper”, old-fashioned, colonial! This applies to the emotional side of Life too. Someone who has lost her husband must look mournful. She cannot smile. She must be crying. But what if she is relieved her husband is dead, after years of suffering – like the mother in the Hindi film The Lunchbox? The mother merely says she is hungry and wants aloo parathawhile sitting beside her dead husband’s corpse. She just wants to be. But she must drop the way she is and become “serious” about the loss of her husband, at least this is what her daughter seems to be thinking! But what’s the point of becoming this or that? To become something you have to stop being something or someone else. Is such becoming worth it? Life’s not a 100-metre race. It is not only about how much money or assets you have. It is about how much time you have left on the planet and what you intend doing with and in that time. If your career is costing you a relationship, is it worth it? If your relationship is costing you your bliss, is such a relationship worth it? These and many more difficult questions need answers. You may not always find your answers either. But in asking such questions, you will find yourself thinking more in terms of simply being, than wanting to become something! Pause and reflect. Think deeply about your Life. Has all your effort to become made you happy? It might have made you successful and wealthy. But has it made you happier? If the truth is that you believe you could be a lot happier than you currently are, stop becoming or wanting to become and simply be. 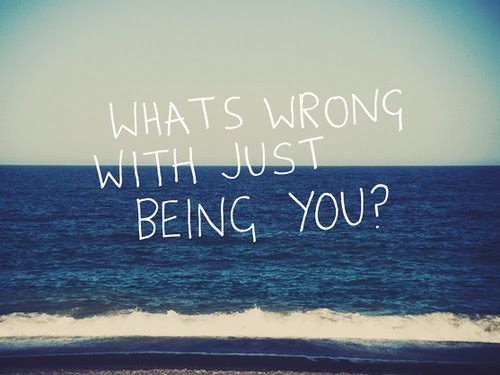 Just being is a surer way for you to feel happy than trying to become something or someone that you simply are not!